Worshiped by his fans for many years Isaac Florentine has built up his excellent reputation within the movie business. At first attracting the action movie fans, Isaac moved into the mainstream with New Line's release Undisputed II: Last man standing. The film received rave reviews not only for its groundbreaking fighting scenes but also for its complexity and dramatic qualities. The film was also a financial success and was rated #1 in the "Non Theatrical" category of the DVD renters in February 2007 (source; Video Business Online - Market Data 02/01/07 and 02/11/07). 'Impact Magazine,' the world's leading publication dedicated to the Action/Martial Arts films hailed Isaac as "one of the most talented directors in the genre." Having over ten features and over one hundred and twenty television episodes under his belt, Isaac has proven his ability to bring leadership to the set, while providing the project with his own unique artistic flair. Born in Israel to Holocaust-survivor parents, Isaac often went to the movies as a child. When he saw a matinee showing of Sergio Leone's The Good, the Bad and The Ugly, he was immediately captivated by Leone's masterful operatic style. From that day on, Isaac was hooked. He now knew that he wanted to become a filmmaker. While in high school, Isaac shot three films with his father's super 8mm camera. After graduating from high school, he completed a mandatory three-year army service, and then went to Tel-Aviv University to attain a degree in Film & Television. Isaac's first film was an adaptation of Jacques Prevere poem, "Dejeuner Du Matin." His graduating project was a film called 'Farewell, Terminator', which awed critics with its vision, and was awarded Grand prize in the Mograbee Film Festival. 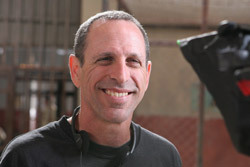 In addition, the film won prizes for Best directing, editing, cinematography, costume, production design and music, plus it was chosen to represent Israel in the short foreign-student film category of the 1988 Academy Awards (the Oscars).The following year, Isaac decided to move to the United States to pursue his filmmaking career. This not only was a big move for him and his wife, Barbara, but Isaac also had to give up is highly successful Karate school (he had trained in martial arts since he was 13 years old, and by this time, was considered one of the best practitioners in the country). Isaac cut his teeth in the American film industry working as a fight choreographer and a second unit director. Two-and-a-half years later, he directed his first feature, Desert Kickboxer. Despite its hectic sixteen-day schedule and ultra-low budget, Isaac's inspired direction was so impressive that HBO bought the film. Since then, he has worked steadily as a director in film and television, and he continues to impress people with his creative visual style. 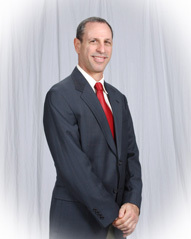 After rewarding years in the United States, including having four children with Barbara, Isaac can look back and smile. But that doesn't mean that he's ready to rest yet. Isaac's passion for filmmaking has no limit, and he looks forward enthusiastically to even bigger cinematic challenges in his future.